New Zealand and the United States can watch the 16 minute documentary online, with more countries to be added soon. Founder of Saving the Wild, Jamie Joseph is a young woman on a critical mission – to save her beloved African rhinos. With rhino horn worth more than diamonds or cocaine gram for gram, rhino poaching is lucrative and trying to stop it, seriously dangerous. 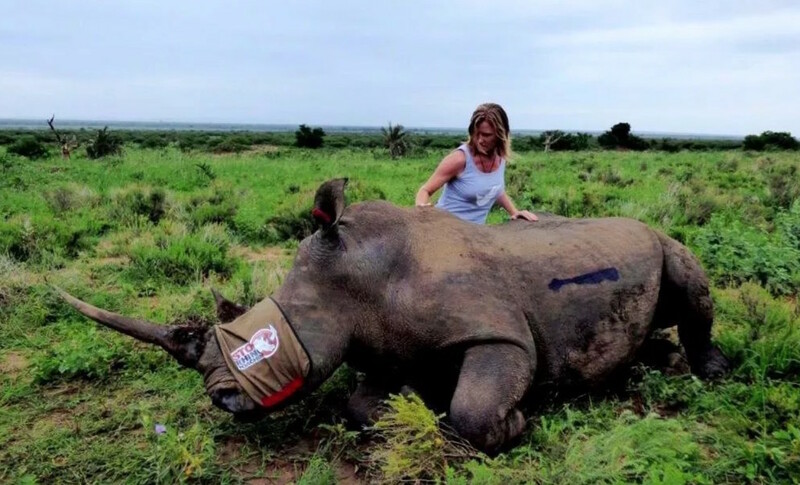 For almost two years SUNDAY has followed Jamie as she’s worked to build a case against an alleged rhino poaching kingpin and also against the magistrates that she claims allow poachers to keep on killing. Jamie Joseph was born in Zimbabwe and grew up in South Africa. Her childhood days spanned the national parks of both countries, and these great wild places imprinted on her from a very young age. As a teenager growing up in the height of the ecstasy rave revolution, she stumbled into the dark side and gained insights into a criminal syndicate where money talked, and dealers walked. Her fleeting dance with the devil prepared her for an unexpected life as a wildlife activist twenty years later. Jamie moved to London at the age of 20 to work for Microsoft, developing a global web platform that would become MSN. Five years later she moved back to South Africa to produce groundbreaking music, arts and culture festivals that united the rainbow nation. In 2009 she relocated to New Zealand and was drawn to the global TED phenomenon of ‘ideas worth sharing’, becoming TEDxAuckland’s official storyteller. During her time in New Zealand she was a freelance environmental journalist and strategist, she campaigned for the Global Poverty Project, and for a ban on shark finning. In 2014, Jamie returned to her African homeland to join the war on elephant and rhino poaching. She created the Saving the Wild platform and began writing stories from the frontline. Since the start of 2016 she has been exposing a notorious rhino poaching syndicate led by the accused rhino poaching kingpin of Zululand, Dumisani Gwala. In October 2017 she exposed the ‘Blood Rhino Blacklist’, a syndicate of corrupt magistrates and prosecutors protecting not only rhino poachers and kingpins, but murderers and rapists too. In this war on greed, Jamie Joseph continues to fight for that which is priceless.